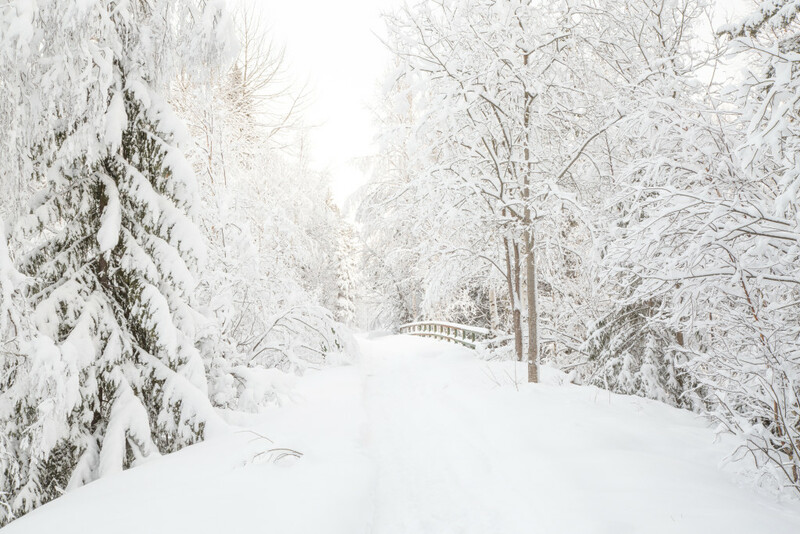 The road to the luxurious, private, two-person Logger’s Lodge is lined with miles and miles of snow-covered forest. You can feel the elevation of the landscape, regardless of whether you travel by car through the forest or arrive from above, by helicopter. As traffic disappears, roads grow smaller and the forest grows larger, you will feel your pulse slowing down. At the end of the road you will be greeted by flaming torches, lighting the way up to the Logger’s Lodge, your private, all-inclusive, winter oasis. As you cross the threshold, you will find yourself embraced by warmth, candlelight and pleasures for your ears and eyes, soul and palate alike. The atmospheric lighting of the outdoor jacuzzi brightens the evening dark, surrounded by glistening snow. 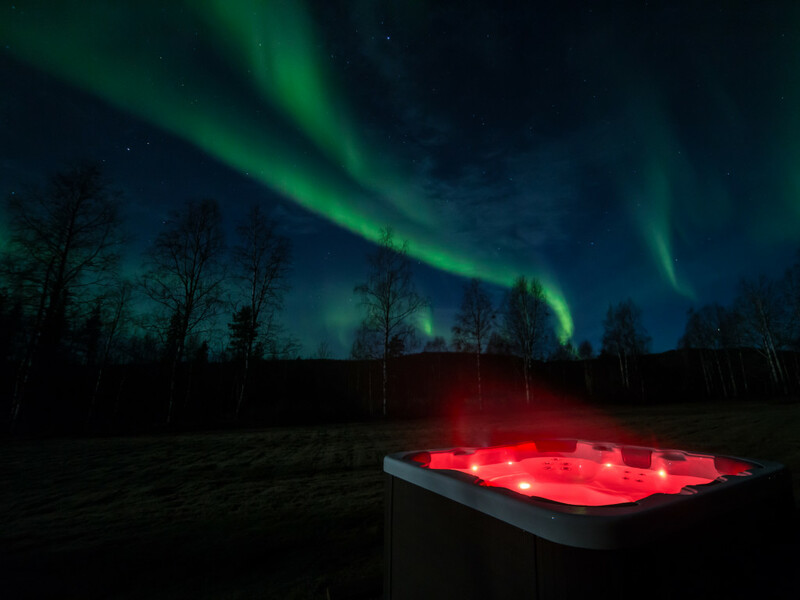 The entire experience is illuminated by a bright, starry sky, frequent northern lights and perhaps most importantly, enveloped in complete silence. At the time of your choosing, a private three-course dinner featuring local, organic delicacies by firelight, awaits. The Logger’s Lodge offers a luxurious private retreat for two people, with round-the-clock service. A wide range of activities are available, everything from snowshoe walks to skiing, dogsledding and other exciting adventures. In this locality, there are fishing lakes, beautiful vantage points and endless forests. Not counting the occasional elk or fox, you will be the first to break the white snow cover with your footsteps as you walk through the winter landscape. Throughout history, however, many people have made their mark here. The Logger’s Lodge was originally a log-driver’s cabin, used when logs were driven down the nearby stream, Bodträskån. The old, generously laid out hearth at the centre of the building is still there, built to allow many log-drivers to fry pork on the fire at the same time. Today, local craftsmen have englassed it, but it is still in the same place and guests may, if they wish to, light the prepared kindling and birchbark themselves, to enjoy the tranquil crackling and warmth of the fire. 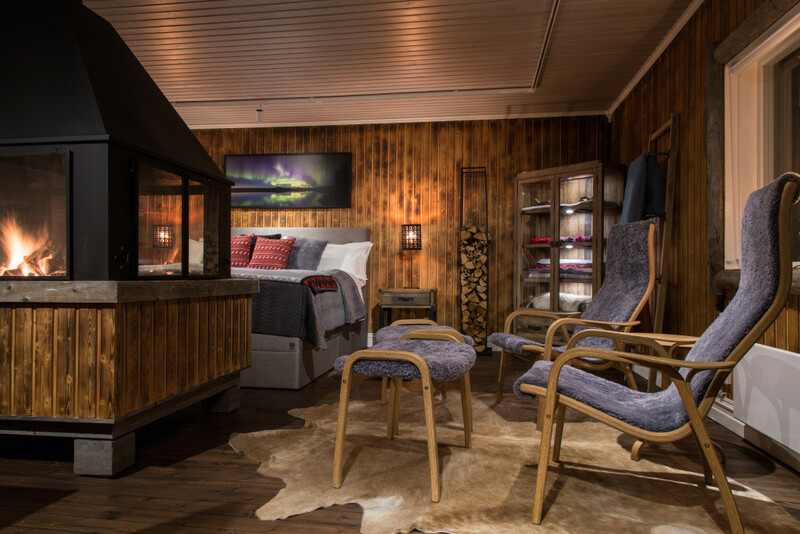 The lodge has been carefully restored and decorated with a balance of style, function, Swedish Lapland materials, all adding a unique touch. Every detail is minutiously thought through. The refrigerator must be quiet. The pillows must be placed and puffed just right. Guests must be able to enjoy an espresso or fine hot chocolate whenever they want to. The king-size bed is of high quality and you can choose between having a view and being protected from outside view. Not that the risk of having any outside viewers is particularly great. The only people out here are the owner and his staff, ready to serve you around the clock. 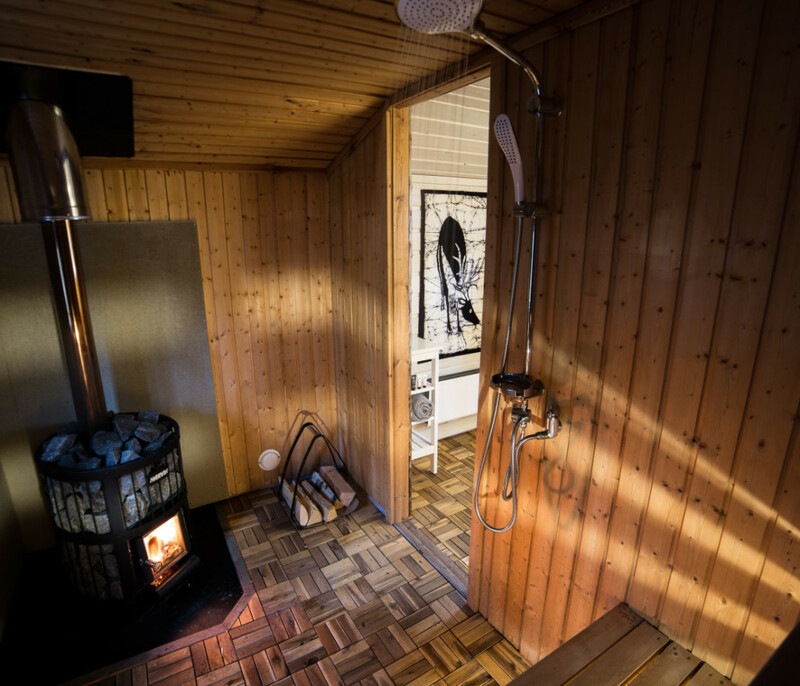 They stay out of sight but close enough to lend a hand for lighting the wood-burning sauna, serve breakfast and other luxurious meals and organise exciting activities. The nearest neighbour, other than them, is more than five kilometres away. 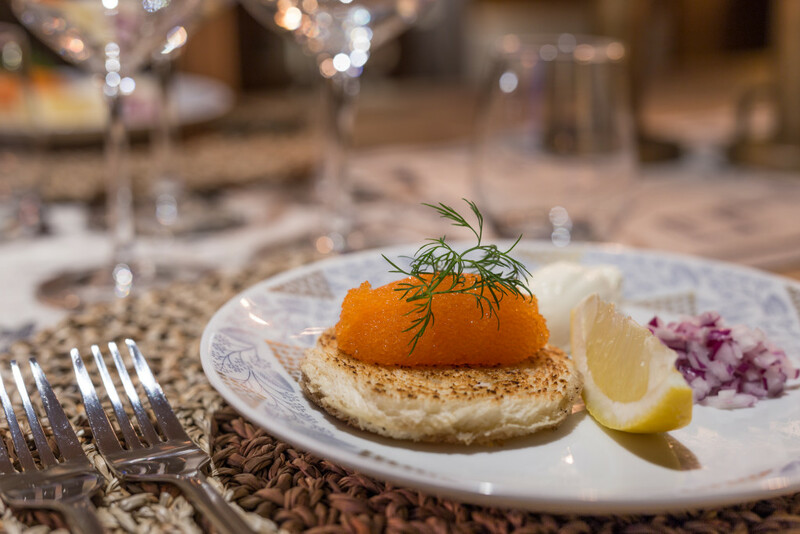 On the menu, there is also fillet of elk, lavaret roe, arctic char, homemade ice cream and other such delicacies. The man behind the Loggers Lodge project is Eric Borg, who runs the company Pure Lapland. He was attracted to this place during a period of his life when he suffered badly from tinnitus. He sought a place that could offer quiet and tranquillity. When he arrived at the homestead by Bodträskån, it was love at first sight. He bought the property together with childhood friend Jörgen Drugge who is now an employee and plays an important part in everything from construction to guiding and cooking in Pure Lapland. His homemade, organic cinnamon buns are highly appreciated. On the menu, there is also fillet of elk, lavaret roe, arctic char, homemade ice cream and other such delicacies. Champagne and fine wines are of course available too. A full á la carte breakfast is served and if guests would like scrambled egg whites and steamed spinach, that is available, even though the nearest store is more than ten kilometres away. Eric Borg himself is a professional photographer, a skill that comes in handy both when photographing the northern lights together with guests and for providing beautiful photos with which to decorate the walls. He is also a star when it comes to guiding, hospitality and attention to detail and he takes great care to put his guests at the heart of everything. “We do everything that our guests want to do. It is a lot of fun and there is a great motivation to become a part of other people’s memories. We are driven by a wish to make our guests as pleased as possible through care, attentiveness and hospitality. We are humbled by the fact that guests who can choose to go wherever they wish in the entire world, choose to come to us, in the forests outside Harads”, says Eric Borg. Logger’s Lodge is the perfect place for couples or others who wish to enjoy a private, high-class experience with no disturbing sound, stress or other people, with luxurious amenities and their own personal host. So far, the lodge has been visited by both international press and celebrities who are after that little extra, somewhere unique and perhaps most of all, private. Logger’s Lodge opened in Christmas 2016 and will be open for booking all year round. 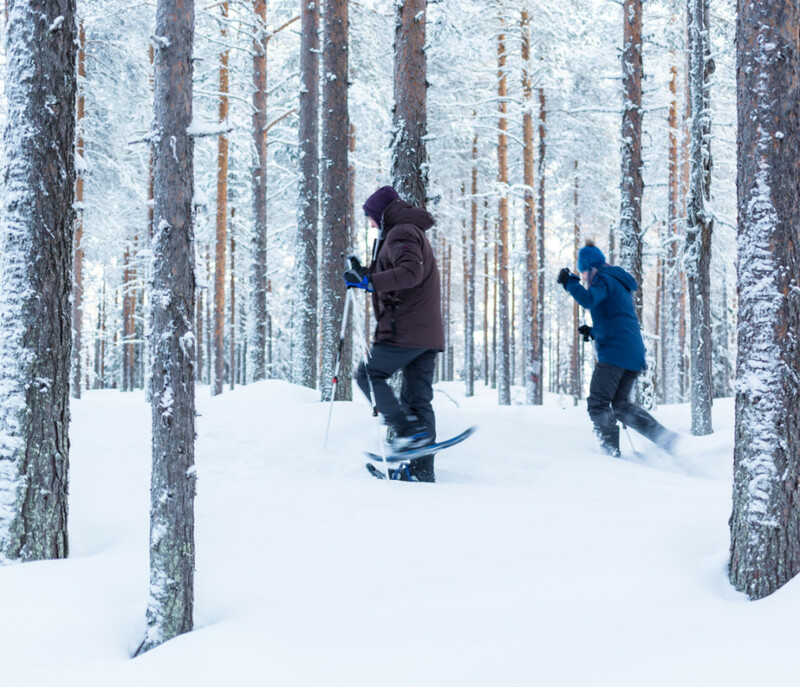 Logger’s Lodge is located about 1.5 hours from Luleå Airport, with daily flights from Stockholm-Arlanda.